The Wolf Empire: Our Khan Beat Devlin Stone in a Savage Wolf! Buy Savage Wolves! Re: The Wolf Empire: Our Khan Beat Devlin Stone in a Savage Wolf! Buy Savage Wolves!
. . . are you pushing their specs out the door? Cause I am still looking for the Juliano with cERLL from the Protectorate. getting Mechs from there, but all it takes is for Ilsa and Dao-shen/Danai to have a little argument and that source gets turned off rather quickly. Majesty Metals and Manufacturing has four locations all by itself and close to a dozen different chassis, more than Detroit does. huh. i combed through the available records a while back for ca 3089-3100 and only got eight 'mech chassis on three worlds. does that include vehicles or did i miss something? Four if you count Ballad II? ah, the Calliope and Agrotera are post-3100. haven't tackled that yet (mostly because the line reactivation info is super sporadic right now). The koschei I just had the wrong manufacturer entered. Well, it was a Tikonov design . . . but it was shared to Canopus- probably a deal where they were trying to get some sort of return for reviving the design since it did not fit Xin Sheng. For those who know, does the Longinus C w/APG have better boarding performance than the original?
. . . are you pushing their specs out the door? Mag Clamps don't add any bonuses. So no better than a MG or FL Longinus. Nothing for the extra point of armor or better SRMs . . . lol, though letting them off in a confined space would be a bad idea. What I find interesting is what these designs say about the Wolf Empire's Clantech manufacturing capabilities, or lack thereof. The fact that these are mixed-tech designs with Inner Sphere chassis and Clan weapons/armour seems to suggest that the Empire's capacity to build full Clantech BattleMechs is limited. Added to that, the weapons/armour could just as easily be built locally as they could be imported from the Sea Foxes. Or the hurry they are in. In the case of the Orion, there's nothing to gain from switching to Clan Grade Endosteel except downtime. In the case of the Longinus, it saves on having to fill the things with harjel. In the case of the Aerospace fighters, well, Wolves ARE desperate there, and need any planes now instead of good planes later. There is an awful lot of manufacturing that we uprooted from the Clan OZ, that has not shown back up as being reestablished in the Wolf Empire, so I would assume that we are prioritizing the rapid production of good enough, over the eventual production of perfect. Who cares about the factories. What about the techs. Swathes of the civilian castes were left to the tender mercies of the Falcons and Horses. So where is the institutional knowledge to rebuild and run Clantech factories going to come from? Frankly the whole Wolf Empire storyline is crazy and only reinforces my conjecture that the best way to relocate your faction is to prepare and carry as little as possible. The only way this pays off for the Wolves is if they have enough momentum to continue on to Terra. If they lose momentum they have a lot of recovering to do. I'll have to grab FM3145 but i do recall them putting emphasis on most-essential-personnel, prioritizing scientists, engineers and technicians over brute labor. I also have the theory that, while never stated, I suspect a lot of the surges to grab Lyran territory after we turned on the chain-yankers, was to recover the dropships full of Lower Castes that the Lyrans were dallying along with. Furthermore, while they took their best and brightest scientists, technicians and merchants, the vast majority of the labor castes—the people who actually ran things—were abandoned as well. Which, if I have to choose, I'm going to leave behind the people who lift heavy things, and work assembly line positions, and rotely press buttons, over the brains of the operation. You can take a factory worker from the Free Worlds League and they're not going to be any less capable than a Wolf OZ Factory Worker, considering that many of those Wolf OZ Factory Workers were of spheroid origin to begin with. I think it partly comes down to 'good enough' and the Clan mentality. Its not like the frontline galaxies are not really getting their pick of the gear. Most of the new 'C' stuff is to bulk out the touman for the freebirth leevies. It delivers the heavier firepower of Clean weapons but lacks some of the finesse/'durability for load' you can find with pure Clan designs. With that said, having a SFE for what are obviously secondline designs keeps them durable when they do not need the speed the frontline Clusters do with their 5/8 standard. It will be interesting to see if they use them as fodder for the elite. While you are correct to prioritize the brains you are vastly underestimating the button pushers. There are a series of subtle things that they do built up over generations and passed on through training that are lost if you lose them. A well publicized recent example is the US's inability to build a Saturn V despite haven't all the plan from a mere 50 years ago. It is why contractors talk about a continuous drumbeat of production over decades rather than bursts. And that is before you get into the sheer number of best and brightest the Wolves would have needed to relocate to act as overseers across a wide variety of projects. And we haven't begun talking about how to motivate the IS workers to perform and change their working cultures for a hostile invader. It is an ugly ugly scenario for the Wolves. I mean, to take your Saturn V analogy, it's more like taking the plans and data to build Saturn V rockets, and taking a crew who builds Soyuz rockets, and re-training them to produce the new rocket. The Wolf Empire has plenty of factory employees to work with, they just have new projects for them. Its not quite that . . . part of the problem is the Saturn V is using outdated tech (Space Cowboys got that right) and just like that 16" gun for the Iowa that was never replaced, there is nothing anywhere building the parts. We no longer cast guns like that or to that size. And so do not have the machines that make the machines involved in the casting. Even the F-22 which recently (compared to the Saturn) shut down would take a while to get back to running because the assembly line has been re-tooled and the parts scattered/recycled. IIRC, there is a study or figure bandied about that it takes 10 years to restart a shut down R&D program to return it to the level it was functioning at the time of shut down. While the notes maybe written in English, the full meaning of what is on the page is not truly comprehended. The Federated Suns are the autocannon faction. Where does it say that? It is not in a rule book. It is institutional knowledge that the community noticed 30 years ago and has kept alive largely through word of mouth. That is the sort of thing that gets lost. But . . . you are talking about that timeframe having passed. 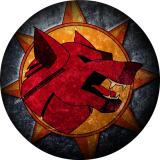 The Crusader Wolves started their invasion of League territory in 3138 with support personnel already en route behind them since they started moving them to the League-Commonwealth border while they feinted into Republic territory. While they do start producing the two new Omnis, Warwolf & Wulfen- which uses some spin off IS tech on both (Reactive & Stealth) and are being built on one of the first worlds taken from the Commonwealth. In fact the Warwolf has limited production b/c of converting a IS production line to Clan spec equipment- I think you have beaten Steve over the head with that information a time or two. The Warwolf is actually a example you are looking for . . . the Wolves have problems by TRO3145 entry (7 years) getting production up to speed so that it becomes their prime heavy. Nothing indicates that the Crusader Wolves are building any of their old secondline designs anywhere in the Empire- no Night Wolves, Tundra Wolves, Lobo, Sun Cobra, or anything. But by TRO3150 (12 years FWL, 10 years for LC) IMO we have a logical move to equip the touman, put Clan spec weapons on IS designs they are already able to produce. Any Orion 2Ms captured can be refit to the Orion C, salvaged Longinus can be improved to the C, and the same factories churning out the Clan spec weapons also make replacement weapons for any Clan mechs damaged. While not full Clan spec it still gives the Wolf forces a slight qualitative advantage and something they can achieve without the problems they ran into with the Warwolf line. Granted I would expect the bugs could have been worked out if the Crusader Wolves had not been constantly needing replacement equipment so its not like the whole thing can be shut down to rework the lines. The Federated Suns are the autocannon faction. Where does it say that? It is not in a rule book. My personal theory is that it comes from fluff text on the Enforcer in the BT CCG that spread memetically. http://www.sarna.net/wiki/Enforcer_(ENF-4R)_(CCG_-_Unlimited) It's arguably not even true beyond 3025 era, and even the it's mostly the Centurion, Enforcer, Rifleman/Jagermech and Victor. Their custom succession wars era marauder even strips off the AC. Well, the RAC comes back in and validates it a little, but I have to question whether the meme prompted that, or vice versa. Forgetting LACs? AC special ammo? When the Wolves turned against the Lyrans during Hammerfall Epsilon seized a lot of Lyran supply dumps and shipments that were for the forces involved in attacking the League worlds. They got their pick of the equipment and I assume the rest went to the formation of the new freebirth garrison clusters. The amount of the equipment was enough to help the frontline galaxies shuffle their vehicles off to the secondline & garrison galaxies. But what Epsilon ended up with lowered their speed so much they were relegated to defensive roles since they could no longer perform in the typical cavalry style. I would think its what was in production for Defiance and TharHes primarily with maybe some Coventry designs. Using FM3145's RATs, if you were the galaxy commander, what would you keep and what would you pass on? Note- I pulled the Clan designs since IMO those would not have been passed on. 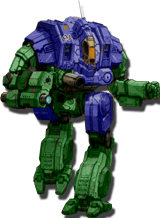 Seriously, what Galaxy Commander or Star Colonel is going to pass on a Viking IIC, Hellstar or Savage Wolf? Considering some of these, I would also have had them shipped to the sibkos for training tools. I'm curious how the dynamics (if the writers/developers wrote it down as bedrock of thing to come) leaving their workforce behind will have with the Empire? Could it usher deClanification of Wolves? Not necessary rightaway but certainly making you a minority among people of Inner Sphere people. They took back some of the civilians, have to wonder about taking Clan enclaves on any Republic world (during the Prefecture IX & VIII invasions), and welcomed in any Warden Wolves who came their way. Alaric may be born of IS genes, but he seems to be taking a harder line than Magnusson. Honestly? If I was a Wolf Empire Galaxy Commander, I'd take whatever I could get. Many of their units are under-strength and with the combination of a permanent war footing and a shortage of Clantech designs, they're not in a position to be choosy. If I have holes in my unit, I want them filled ASAP so I'm operationally ready. Except Epsilon was not involved in Hammerfall, and it was what they took from the Lyran dumps that gave them a 'slow' rep. They are not Zeta or the new freebirth clusters either so they were not hurting for equipment in the first place- just had vehicle trinaries. Checking in and standing by after several months of being absent. Glory to the Empire! Victory for the Wolves! Throwback . . . Friday? I wanted to go back to some fun days and test out a MM feature. I stuck to zell against mechs, except for the Gargoyle which was tasked to thing vehicles, until it was pretty well mixed up- which caused problems b/c the bot would init sink and move the duel targets out of LOS like it knew what was happening. This made me have to move around terrain to get LOS back and spend turns killing vehicles. I let the Elementals fire on anything, they were also useful for killing off veh crews to prevent sinks. Lost a pristine point to the MG ammo on a Maxim brewing up- 60 pts of AE damage! Things were going OK until the Garg D took a long range hit with a double CT TAC . . . gyro! One turn later my Ice Ferret took a shot a punch in the back that gave me a double engine crit. With that it was time to pull back from the middle of the map, dragging the enemy armor into what was left of the Elementals. 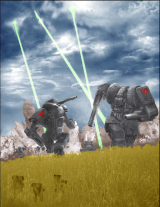 One medium mech and a vehicle were in retreat with a Drillson already having fled by forced withdraw. By that point the Nova Commander in the Garg D had put a ERLL into a Exterminator 5A's head, put that pilot to sleep an a point of Elementals seared it off with a Laser hit. The Timberwolf C blew a arm off the Archer 2K before getting the LRM ammo the next turn. The Adder had dropped a Thorn that broke zell, pair of Saladins had been blown out, a Warrior had a forced landing (survived, isorla! ), Karnov AC was not as lucky and another 10 vehicles littered the battlefield. The AFFC's biggest mech had been badly positioned, Stalker, and due to the Wolf speed was being left behind- it only got in 1 LRM hit, the other salvo dealt with by the Timber Wolf C's AMS. Remaining in play was a Firestarter (Mirage), Vindicator 1SIC, and a Assassin 101 supported by the vehicles . . .
Can the Wolves keep moving enough to finish off the FedCom forces? Its Ruin to Run . . . Need a bit more armor, the Timber Wolf took a CT double engine TAC a few turns after the Garg D went down so it needs repaired, and shot most the ammo dry on everything, 50% combat effective losses among the Elementals. Original BV of 22200, 54% remains but only 7% of the AFFC forces survived the encounter. But the Wolves wrecked the blocking force, chasing the few survivors fleeing back towards their base. Poor slow poke Stalker was left out in the boonies after it got a few salvos off. It would be too slow to affect the Trial of Possession for the world, a green warrior could go clean it up later. Retreating would be a Peregrine, Drillson, Partisan (LRM), Scorpion, Vedette, and Lynx which lost both side torsos (no guns!). Nearly had the Lynx before it could flee, so the only thing that would truly get away would be the Peregrine and Drillson- nothing has the speed left. Wolves lost about 13 Elementals and the Garg D fell with Nova Commander (1/2) but he was not killed and the mech was just a engine mission kill though the LA was destroyed. Once I used a hill to split up a Sturm, Behemoth, Brutus, and the Scorpions from supporting the faster vehicles and mechs then the AFFC force was in trouble. I probably could have swung out around their flank and sped off for the objective since only the Assassin and Firestarter had the speed to keep up with the Nova after they knocked out the Garg D.